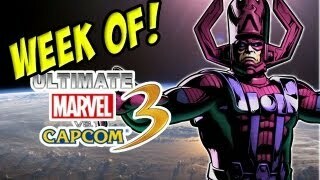 It's time to settle in with Maximilian for another "WEEK OF!" Ultimate Marvel vs. Capcom 3. See what part one has to offer inside. Maximilian has begun another "WEEK OF!" Ultimate Marvel vs. Capcom 3. This week, Max takes to the PS3 version of the game. If you have a PSN account you can try to catch Max online.